I promised myself that this year I wouldn't buy a new pair of Uggs. I promised that I'd clean up my previous four pairs and make them wearable again. Well, one trip to the Ugg Outlet store in Portsmouth and I broke that promise! I went in to look for a friend and before I knew it, I had four different boots out and didn't know what ones to buy. I usually opt for the black as I think they'll last longer and go with anything but since I've seen the grey I just haven't managed to get it out of my head! I was after the traditional classics, they are my favourite Uggs ever but as they didn't have them in my size, I was looking around the store and these little beauties caught my eye! I was stuck between the black, sand and the grey and while I was trying them on, they didn't have any of my size in the grey left. I asked a member of staff on an off chance and thankfully they had them in stock! I decided to go for a different style for a change and I'm super pleased I did! I've been wearing Uggs for years, I know they aren't the cheapest shoes in the world but I wear mine to death. They are perfect for keeping your feet warm in the winter and they are like walking on clouds! I picked these up for £105 in the outlet store, they usually retail for around £150. 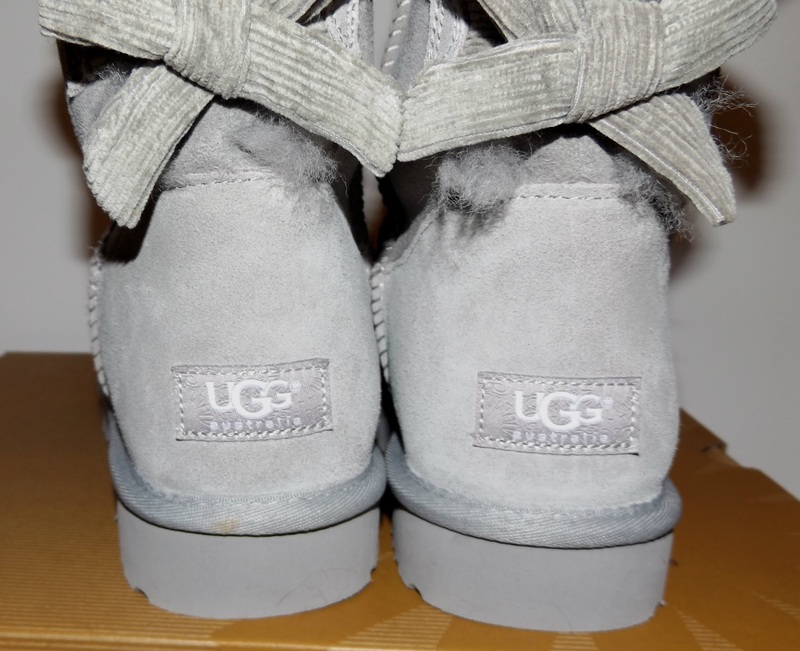 Ugg was founded in the late 1970's when a surfer from Australia began selling these sheepskin boots. They were originally worn by surfers in the winter months but soon rocketed into the fashion world that we love today! 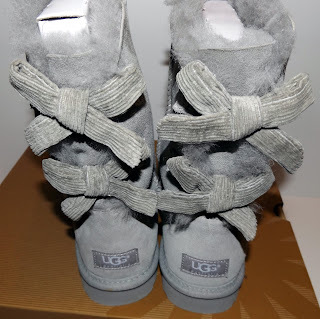 They feature two fixed bows along the back and the twinface sheepskin that Ugg are famous for. The insides are super fluffy and warm and the gorgeous suede outer is a classic! What do you think of Uggs? I love the colour, I'm so into grey, i'm loving the bows too, great addition. A good ugg goes a long way, love these.